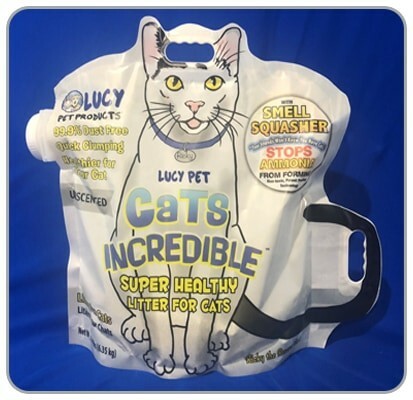 Recently, Lucy Pet introduced new packaging for our Cats Incredible litter and also introduced a new package type of jugs in addition to the handle bags. 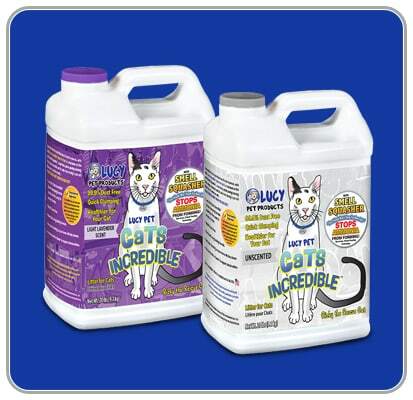 All package designs and types have the exact same formula of our litter with patented technology that prevents ammonia from forming in the litter box. 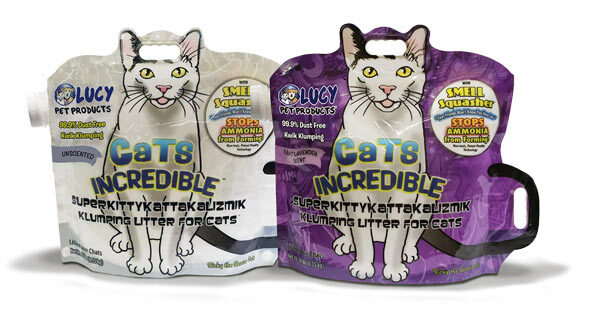 We use the same pure sodium bentonite clay litter from Wyoming, USA and the same plants package our litter in the USA. 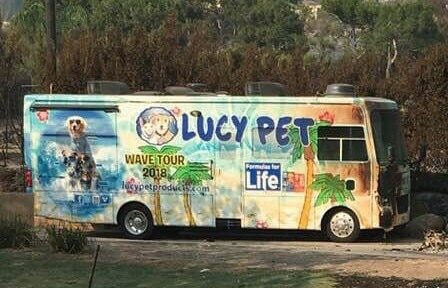 During the next few months, you will continue to see both versions of packaging. 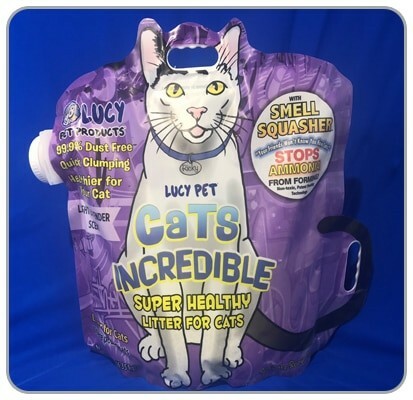 You can be assured that both packages are genuine Lucy Pet Cats Incredible litter, and you may purchase any style in confidence.